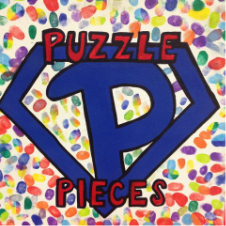 Walk for All - Welcome to Puzzle Pieces! THANK YOU TO OUR FAMILIES, SUPPORTERS, AND MOST IMPORTANT THE INDIVIDUALS THAT WE WALK FOR! Once again our walk was a wonderful opportunity to honor our loved ones with special needs. Our 4th Annual Walk raised almost $6000.00 for Puzzle Pieces. Even though the weather turned blustery at the last minute we had a blast. 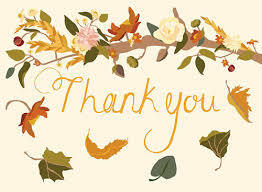 Thank you so much to Team Hancock who raised over $3000.00 and to Team Eric and Team Leah who raised over $1000.00 each. Thank you also to all the other Teams for their donations and support and to all the people who braved the weather to walk for your special person! We encourage you to form a TEAM and walk "in HONOR of" or "in MEMORY of" an individual with Special Needs. The individual does not have to be a client of Puzzle Pieces. The goal for each Team is to raise at least $100.00. You can download the registration form from our website or register online www.puzzle-pieces.org. You may turn in your team registrations/donations to Puzzle Pieces prior to or on the day of the event at Smother's Park. The top three TEAMS with the highest amount of donations raised will receive 1st-3rd place awards! TEAM's will be recognized on stage the day of the event and listed on our website. Each TEAM's name will be placed in a pool and then randomly drawn for prizes the day of the event (must be present to win)! All proceeds benefit Puzzle Pieces and are Tax Deductible. Please use the Team Log Sheet to turn in each of your team supporter's full name & address that will need a tax receipt sent to them. Checks should be made payable to Puzzle Pieces. Team Members Names separated by a comma. If you Team Members/Supporters would like a Tax Receipt from Puzzle Pieces we will need for you to put their full address will their name. Thank you!! !